Help, my dog has bitten, what should I do? This is a question that has been asked many times at the SPA, and I think it is an important one for those of us living in France. What should we do if the unthinkable happens and our dog bites someone, be it a stranger or a family member. There is a French law that relates to this. Decree of 21 April 1997 concerning animals who have scratched or bitten relative to article 232-1 of the rural code, and law number 2008-582 of 20th June 2008 modifying the rural code, just in case you ever need to quote these to anyone. 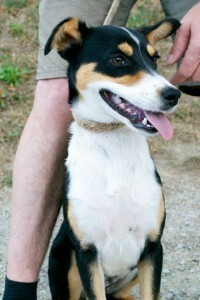 The law states that the fact that the dog has bitten should be reported to the mayor. After this, the dog should undergo 3 visits to a vets for blood tests (even if he is vaccinated against rabies) and for an assessment of character. The first visit should be made within 48 hours of the bite, and then at weekly intervals. 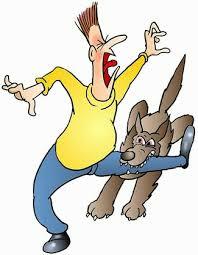 If the dog gets a clean bill of health, (both in terms of rabies and behaviour) then that is normally the end of the matter. But of course it depends very much on whom your dog has bitten, and how hard! In practice, if your dog is vaccinated against rabies, the person who has been bitten (the “bitee”) may be suitably mollified. But this is not always the case. A friend of mine’s dog bit someone on the rear end, not very hard, but enough to draw blood. 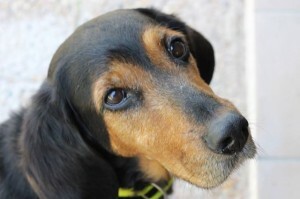 The woman’s doctor requested that the dog go for the three vet’s visits, but no report was made to the mayor, as the “bitee” was very good humoured about it, and just wanted to be sure that she was not at risk of rabies. If a bite is serious, things are very different, and sadly if a vet determines that a dog risks re-offending, then the dog may have to be put to sleep. Of my four dogs, only one, Bella, risks nipping. She came from the SPA, and had been badly beaten beforehand. However her biting is directed solely against things that move quickly. She loathes joggers and cyclists, and although I do my very best to avoid places where they are likely to be, about once a fortnight we come across some intrepid soul on a mountain bike. If Bella is not on the lead, she will fly after them with bared teeth. If they stop, she will let herself be patted, but as soon as the movement starts, she is off again. I try and get her on the lead as soon as possible, but I do not keep her on all the time, as meeting a sportsman is so rare that it is a shame to never let my dog off “just in case”. If she does ever bite (so far touch wood she has not done so, apart from her first time at dog school and Carole has forgiven her! ), I will keep her on the lead at all times for her own protection. At the vets she is placid and calm, so there is no way she would be classed as dangerous. Unless you are a cyclist or jogger, that is! Of course the best thing is to avoid letting your dog bite. If you know he or she has triggers, avoid them as much as possible, and it is worth giving him a rabies injection as this may reassure people should disaster strike. Bella has been vaccinated against rabies, my other dogs have not. If a “biter” is brought to the SPA, we need to know all about the circumstances of the bite. It is not always the dog’s fault, and a classic is an unsupervised dog with a child. Who knows if the dog was provoked and was merely trying to defend itself? However I understand completely why a family would lose confidence in the dog and no longer wish to keep it. It does not make the dog unhomeable, however. We just need to make sure that his new owners are aware and that the dog is either not homed with children, or that he is not given the opportunity to bite again. Four adoptions including a long- termer! Four adoptions today, one of which concerns one of our long termers! So despite the number of dogs arriving, when you consider the fact that within the last week we have seen no fewer than four of our long timers leave (by long timers I mean dogs who have been with us for over a year), you will understand that we are quite upbeat overall. Today was the big day for Kaira, a beautiful dogue de Bordeaux, who had been with us since March 2013. 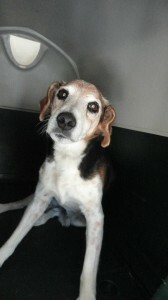 She was abandoned due to a change in family circumstances, and has not had the best time at the SPA. For one thing she really missed her family so would pace round her kennel with a toy in her mouth praying that someone would throw it for her. Secondly, she has a tendency to gobble her food, and several months ago we thought we had lost her when she nearly died from a twisted gut. She pulled through but has to be watched while she is eating. Kaira is not the most lady-like of dogs when it comes to food, it must be said! 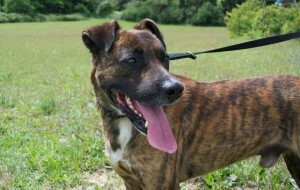 Her kennel mate, Chico is now alone, but not for long, we will soon find him a new pal, as he is great with other dogs. 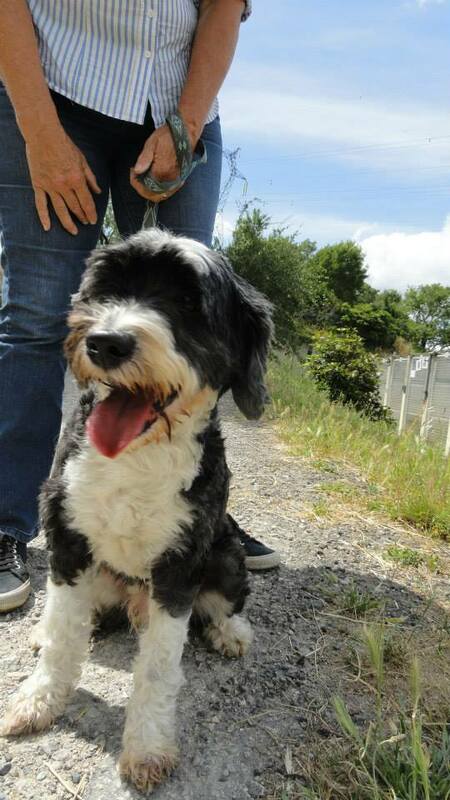 Who knows, perhaps he will be the next long termer to find a home! More good news too. 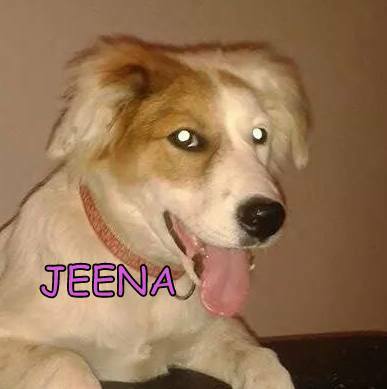 Puppy Jeena was adopted and now has a home of her own. 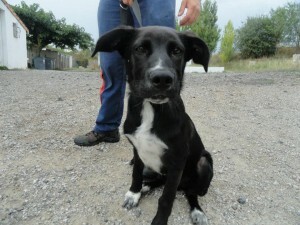 She will leave a big hole in the home of her foster family, who have looked after her since she arrived at the refuge. Our border cross, Emie, was adopted too and a life of activity awaits; perfect for her breed. 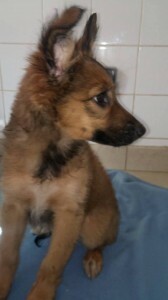 Arthur, one of Camelot puppies was adopted yesterday too. 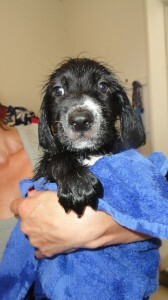 He was one of the pups you saw in the bath tub a couple of days ago and was the first of this litter to find a home. Still five left, plus Scampi who is in foster, as well as several “not quite pups”, who sadly tend to get forgotten about when there is something younger and cuter at the SPA. Finally Coffee found a home. I am a bit annoyed as a UK based website is about to feature him as their dog of the week. But of course, their goal, as ours, was to find him a home, and he has one now, so I will contact them with another dog for their site. A great day all in all. Adoption of Marla and more baths! Today was baking hot, so instead of walking, there was a team of dog washers at the SPA this afternoon, giving dogs a spruce up so they can look (and smell) their best for any potential adopters. Washing dogs can be great fun and is a good way to get to know them, as we can see who is and is not happy to be manipulated (which in turn might indicate who is best homed with children etc). 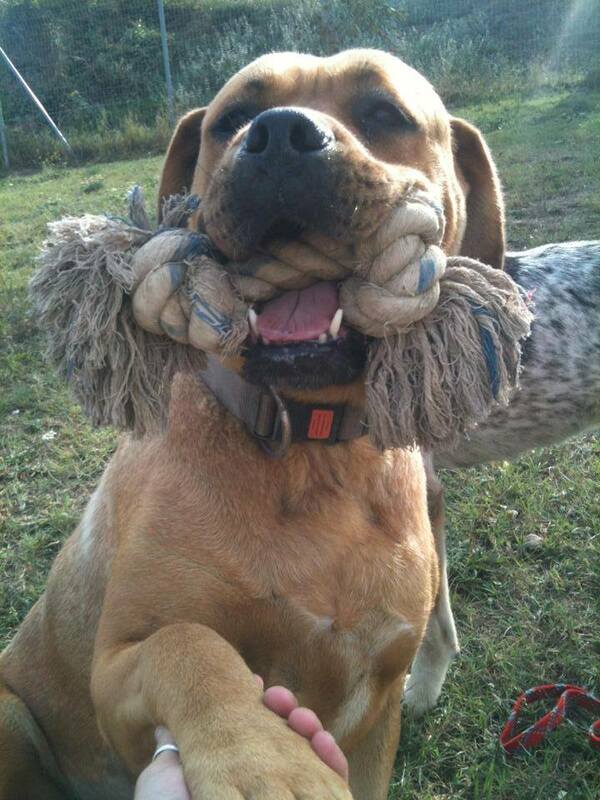 Plus it is great fun, for humans and dogs alike. It is important to wear quick dry clothing, though! Those darn dogs have a habit of shaking just when you don’t want them to! Six dogs are now feeling a lot cooler, tonight and in a couple of cases a lot less uncomfortable, as “Team Bath” did some cutting of dreadlocks and brushing too. Thanks to you all! A couple of people did come a long with a view to adopting dogs, and we are hoping that some of these may come to fruition and help make some much needed space at the refuge. 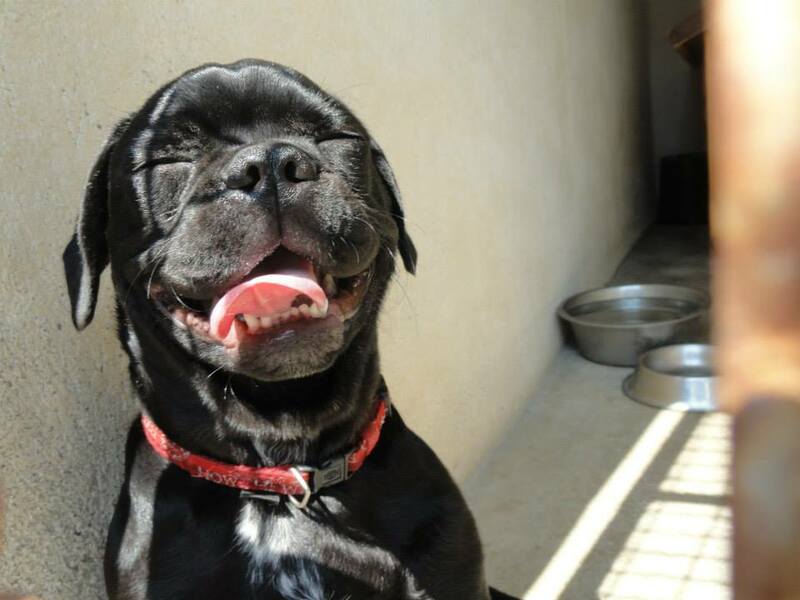 Summer is far from over, but people are starting to return from their holidays and can think about giving a dog or cat a home, without the expense of putting it into kennels or a cattery straight away. One dog did find a new home today. 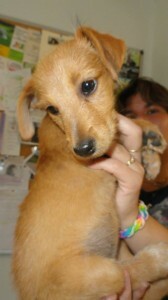 Little Marla was adopted, after less than three weeks at the SPA. Quickly becoming a favourite with the volunteers, this little dog had so much character that it was not long before she caught someone’s eye. We wish her love and happiness in her new home. There was also a reservation, but I will tell you about that when the day of departure arrives. All I will say is that it is a good one; a dog who has not had an easy life and whose luck is about to change. Great stuff! The afternoon started excellently, with the owners of yesterday’s old beagle coming to collect him. 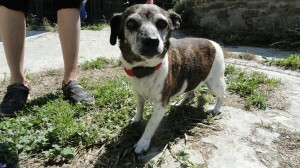 Riki is 14 years old and his owners have been at their wits end trying to find him. He was identified, but the people who found him did not do what they should have done, ie take the dog to the vet to see if he was micro-chipped, or even contact the SPA to let us know they had found a dog. Instead they kept him for ten days before bringing him in. Meanwhile his owners have been in tears, wondering what had happened to their dog. I am sure the people who found Riki meant well. But in fact they did the wrong thing. If you find a dog, please take him or her to a vet to see if he is micro-chipped or at the very least let us know that he is with you, so we can put his photo on Facebook or other social media sites. In this case it would have saved the owners nearly two weeks of worry. 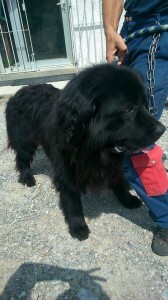 Another dog left with his owners today, Galahad, the wonderful Newfoundland was reclaimed. We had a feeling he wouldn’t be with us for long, and we were right. Like Riki he was identified, which of course helps! Other than that there was not much news from the SPA, apart from the arrival of yet more kittens. This lot were left in the outside cages when the refuge was open. How courageous of the person who left them. The situation is catastrophic, if you will forgive the play on words. One other thing I would like to point out. People have fought long and hard and signed numerous petitions to change the status of animals in France. Until recently they had no more rights under law than an item of furniture or any other inanimate object that can be purchased. This is no longer the case. If you are thinking of returning an animal you have adopted from us, there is no time limit by which you are guaranteed a refund of your money. Read the contract that you signed when you adopted; phone the refuge and discuss your issues. If getting your money back is your main motivator in terms of timing, then perhaps owning an animal is not the best decision you could make. Problems can quite often be resolved, but having a clock ticking down the days helps no one, especially not the dog or cat. A word to the wise, as they say. 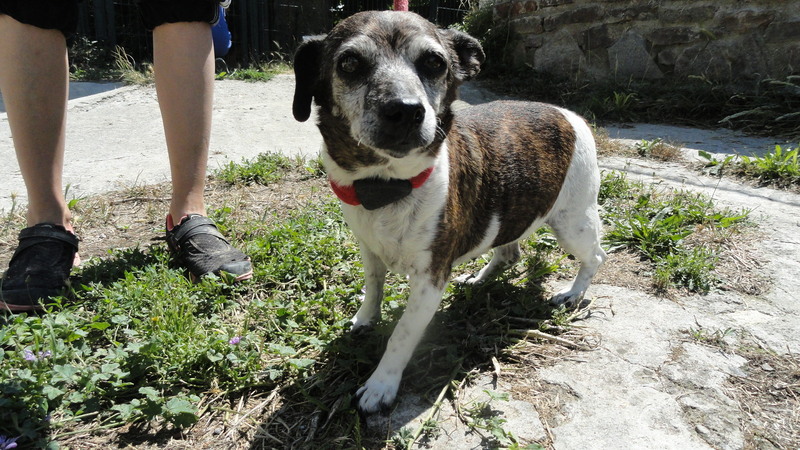 Riki- I am 14 years old and I was reclaimed as soon as my owners knew where I was! Galahad – My owners came to collect me too. Phew, it was hot in there! Another puppy day – but in the right direction! It was too hot to walk the dogs today at the SPA, so it was a good chance to catch up on some photos. Those of you who follow the Facebook page will have seen that we had a magnificent new arrival yesterday. A three year old Newfoundland called Galahad. He is identified, but his owners are not responding to their phone. Perhaps the internet will help them be reunited. Today we had three adoptions. 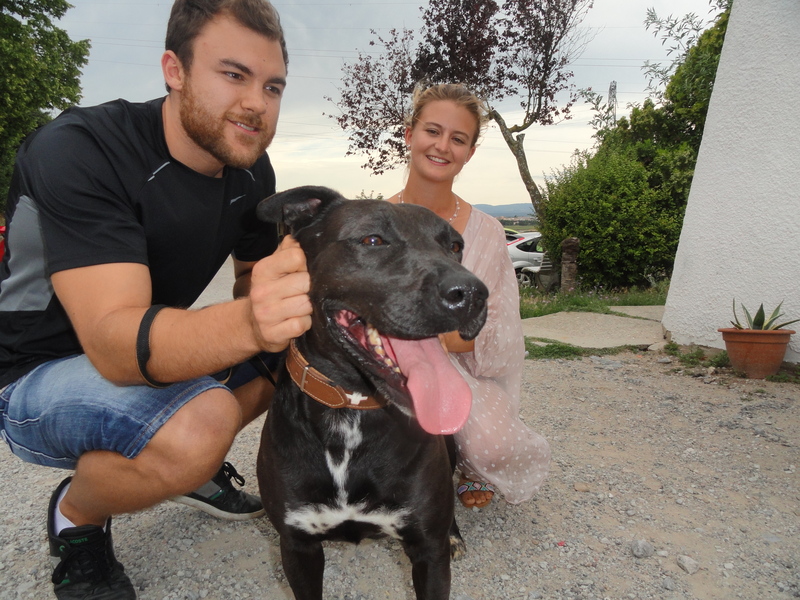 First to leave (though last to arrive home) was Valyne, a young cross breed who was spotted on the internet and who has now gone up to live in Chatearoux. There is no reason to change a winning team, so once again the transport was done by a human chain consisting of Marie-Pierre and her husband who did Carcassonne to Toulouse and then David, who has a twice weekly lorry run to the middle of France and who quite often takes a SPA dog on his passenger seat! Thanks so much to you all. Meanwhile back at the refuge two more puppies were adopted in addition to Guimauve and Maya, who left yesterday. Both Loukoum and Mayo left today. Still plenty left, though, including beautiful Jeena. 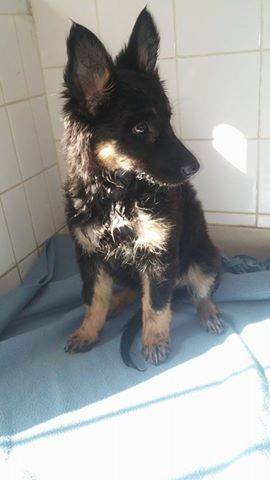 Visitors perhaps don’t realise she is for adoption when they visit the refuge, as she stays in the reception with foster mum Carole. She has become quite a gem, though, good with children, cats and other dogs. 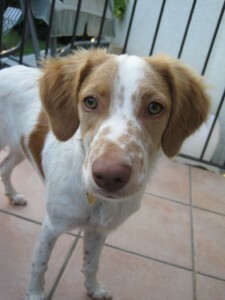 Likewise little Scampi, who is in foster with Martine. He too is good with cats, and unlike Jeena will be dog sized when adult, rather than pony sized! Please get in touch if you would like more details on either of them! Today saw the sad return of Belote, renamed Betty. She was adopted over two years ago and her family have waged constant war to integrate her with their other female. They have finally given up, after heroic efforts. Many tears were shed, believe me. Betty is extremely jealous of female dogs, although she is fine with males. She is also great with humans of all ages and is okay with females whom she meets on walks. However she will not let another female near her owners inside the house. If you like Brittany spaniels and have no females, then this girl is just magic. She sticks to you like glue, is fine off the leash and just wants love. ALL your love. If your male dog is happy to share, then she would be a great second dog, but otherwise she should be the sole dog of the family. Two further arrivals are now immortalised on camera. A little old beagle who is identified but whose owners are not answering their phone, and a tiny male yorkie, not identified, and in a very bad condition, although he seems quite young. More information on them in due course. Valyne on the front seat of David’s truck! 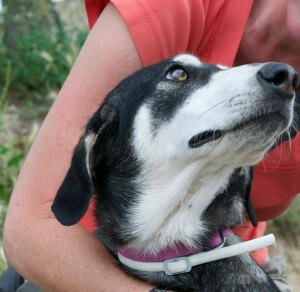 Betty – back at the refuge and looking for a home without another female. Today was the first Sunday of the month, so as usual the SPA was open; manned by a team of volunteers. The sun shone and plenty of dogs were walked and/or washed. Sadly when the employees came to work this morning they found Teddy waiting for them. 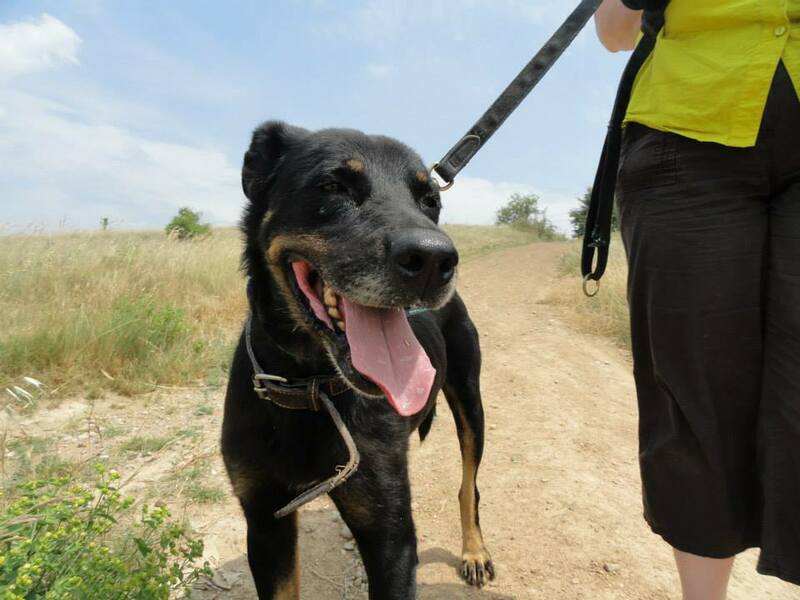 He was adopted on July 11th, and although at present we are not clear if his owner is looking for him, it would be awful if he has been abandoned after so short a time. 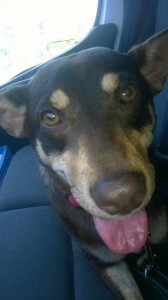 Fingers crossed that he is just “lost” and that his owner reclaims him. He had already spent 20 months at the SPA before being adopted, which way too long for any dog, let alone such a young active one. Many thanks to the young couple who found him wandering in the middle of the road and made sure he was safe with the Brigade Canine. Who knows what would have happened to him otherwise, especially with the thunderstorms that shook the area last night. Teddy was not the only new arrival, either. A small unidentified dog was brought in as well, but luckily her owners were looking for her. Sharlotte (yes with an S) was not identified, so normally would not be able to leave on a Sunday. The law states that all dogs must be identified and especially those who pass through our hands. Luckily the SPA vets were on duty this weekend. Although chipping a dog cannot be considered an emergency, they were kind enough to open up for us so that Sharlotte could leave immediately. Thank you so much, Les Remparts. Thanks to everyone who came along and made this Sunday afternoon a bit brighter for the animals at the SPA. Teddy – I hope they are coming to collect me…..
Sharlotte – My owners came for me straight away! I am 13 years old! Shamallow- I have a new family and a farm to play on! After I left the SPA yesterday, the photo of two more dogs were posted to the SPA Facebook wall. Firstly was Belle, who was identified but whose owners were not answering their phone, so we thought perhaps Facebook might help. Sure enough it did, and Belle’s owners came to collect their dog today. They had not answered their phone as they were at the funeral of their mother, and our deepest sympathies go to them at this difficult time. They were relieved to know that Belle was safe with us, but understandably, finding her had not been their number one priority. 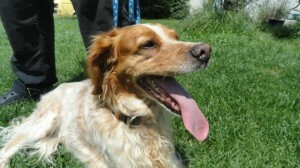 The second dog was a puppy, found at La Cite. 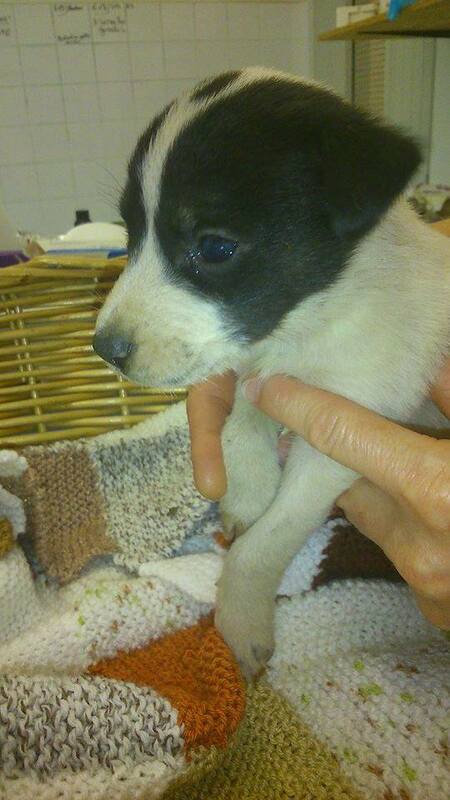 Then this afternoon yet another puppy arrived, a little girl found in Pennautier. Yes, another one. When oh when oh when will this madness stop? We all know the answer to that one: Never. Sadly there are not enough people who are willing to neuter their pets, be it dogs or cats, and the SPA and other rescue organisations are just expected to deal with the aftermath. 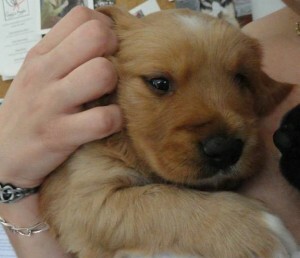 And if there are not as many adopters as there are unwanted puppies or kittens, then what happens? Yes, the animals grow up in the refuges (if they are lucky enough to find themselves in a refuge that does not practice euthanasia) and what sort of life is that? However it was the start of a new life for one very special dog today. About three weeks ago, our “dog of the week” was Sky, a pointer cross who had been at the refuge since April 2012. 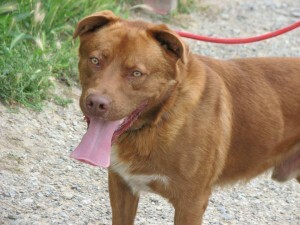 I have no idea why no one wanted to adopt this lovely boy, except that he is big and looks like a hunt dog. However he had been a family pet and had never hunted in his life! Since his appearance on the site, a family have made regular visits to see him. They have young children and did not want to make a rash decision, so returned many times to walk Sky, play with him in the park and make sure he was the right dog for them. Today was the day! And Melanie was there yet again to say goodbye! Incredibly and purely by coincidence Sky has been sharing his kennel with Louve, and had been looking very sad since her adoption yesterday. Sky will have a huge enclosed garden to play in, plus half a mountain to himself if he wants it. I have a feeling he will stay close to his owners, though; he seems already very attached to them. Another lucky dog was little Jonty, whose family already have a boxer, so they obviously like dogs with squashed noses! This little bundle of love has only just completed his pound time, so he is doubly lucky! Please don’t forget that we are open tomorrow from 14H00-18H00. The cats and dogs look forward to seeing you! And Melanie with Sky and his new dad. Feel the love! Two wonderful adoptions and a sad return. Plus Pip starts her journey! Today has been a long time coming. Where to start? 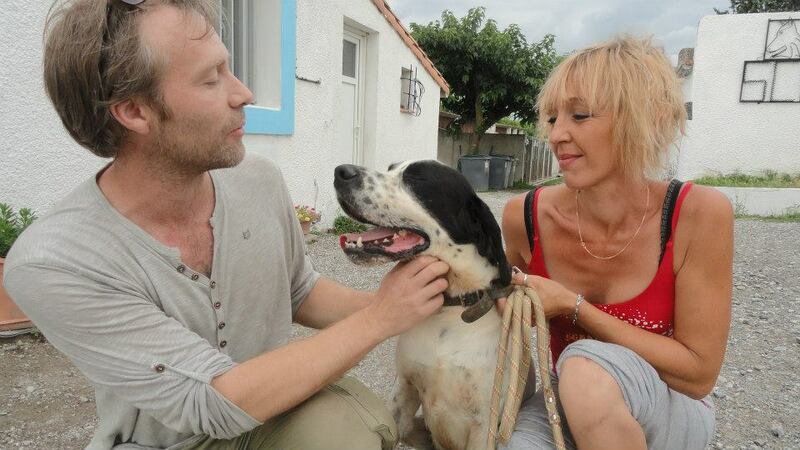 Well, how about when a dog called Louve was adopted, way back in January 2012. All went well, to the best of our knowledge, until her owner fell ill, and Louve’s dislike of cats made it impossible for his children to keep the dog. 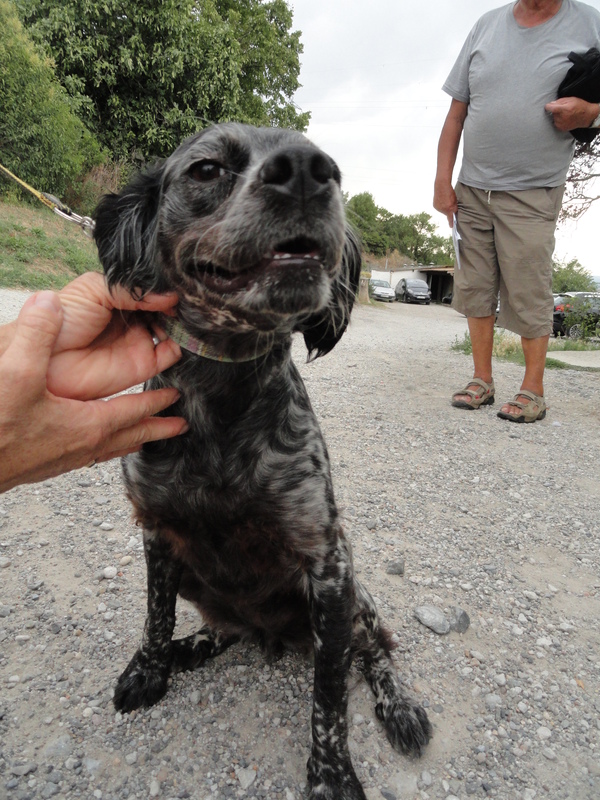 So Louve, then aged just over 11 months, came back to the refuge, where she has been ever since. Big, beautiful amber eyes peered at us from behind bars. For some unfathomable reason no one was interested in adopting her, so it fell on the employees and volunteers to give this dog all the love they could. Sharing attention with 120 other dogs is not easy, but luckily Louve was fine with other dogs, so was able to have some company. The next thread of the story concerns Ronan, a young military guy who volunteers at the refuge and whose speciality is walking dogs who pull a lot! He has just been posted to Brittany, and wanted a dog to take with him. He has walked Louve on a regular basis, so to a large extent his decision was easily made. 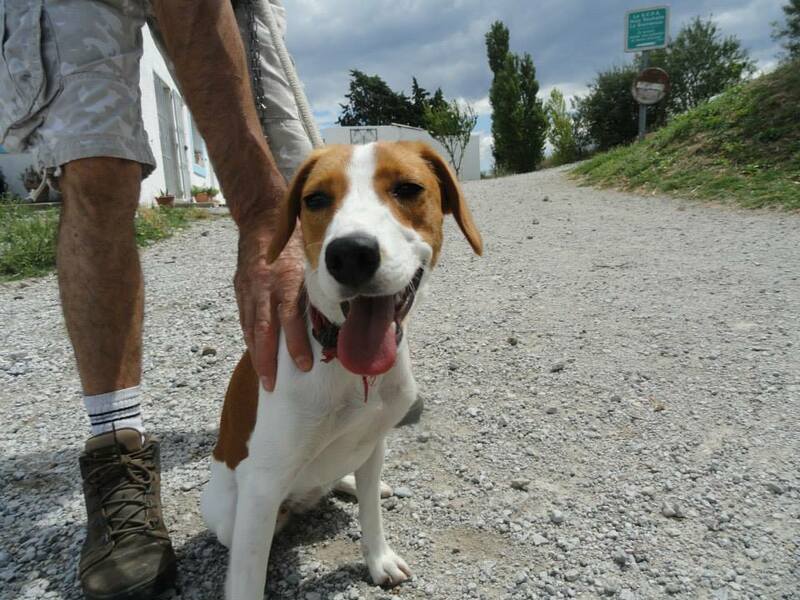 So it was bye-bye Louve, after 27 months at the refuge. And remember that was not her first time with us. From this point of view it was a fabulous day! But there was also sadness. Yesterday was the final day of Melanie’s contract of employment. This was despite the enormous efforts made to keep her on the staff. Sometimes the law makes things impossible, no matter how much we want them. Melanie is great friends with both Ronan and Louve, so she came in today to wave goodbye to them both. Dedication and devotion, despite her sadness. Thanks for all your hard work, Melanie. We know your love and commitment to the animals remains strong and we all hope you will continue as a volunteer. You are invaluable and we will all miss you. Humans and dogs alike. That was not all the news of the day, though. Who remembers Dastin, the fabulous Rottweiler who was adopted earlier this year and who now lives in a chateau? Well, his owner has relatives visiting from Austria, and so highly did he speak of the SPA that they came along to see what they could find. And they left with a dog who has been with us for 18 months. And as with Louve it was not her first stay at the SPA. So to our great joy, lovely Molly was adopted and is going to her new homeland on Sunday. She fixed her eye on her new owner from the word go, and being in the park just confirmed that this was a match made in heaven. The day would have been just about perfect had it not been for the arrival of Little Minx, who has proved to be too lively for her elderly owner. We did try and explain that she was incredibly active when she was adopted, but sometimes people have to learn these things for themselves, rather than taking our word for it. So this tiny little dog is back at the SPA, where no doubt she will climb up the bars and do her best to get the exercise she craves. The right home is out there, we just know. In better news, little Pip started her journey to Scotland, and Moira will tell you all about this in due course as it is she and her husband Roy who are doing the delivery! I have loved having Pip at my house for the past week (as did Isa and Lisa before me) and we all look forward to hearing her adventures! Melanie with Ronan and Louve. Molly and her new owners – Austria bound! 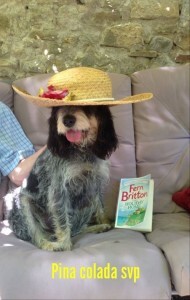 And Pip – Next stop SCOTLAND! Taser leaves and it is wash day at the SPA! Goldilocks would not have been quite as happy with the temperature today; Scorchio! Way too hot to walk the dogs, unless they were in the process of drying after being washed, so that is what we did! Three lucky dogs got a lovely bath, (well, shampoo and wind-blow dry) thanks to Anna and Belinda, and all seemed very happy with the chance to cool off a bit. Including the humans! We had a wonderful adoption too. We said goodbye once again to Taser. Remember him? Adopted then brought back a day later due to his non-integration with the family cats. 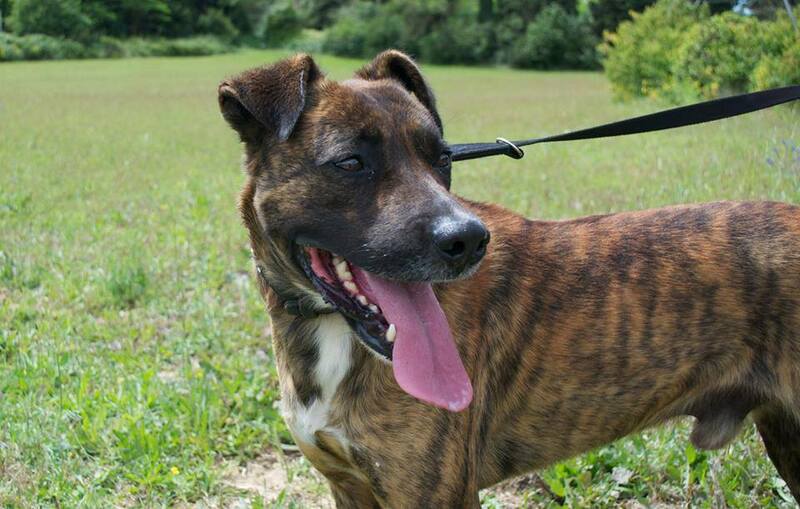 Such a handsome boy would never be around for long, though, cats or no cats! His new family came to meet him yesterday and fell in love. Their original plan was to collect him tomorrow, but the SPA Facebook page received an email this morning saying that they simply couldn’t wait to collect their new boy, and was today okay! As Taser had already been adopted once, we knew that he was all chipped and ready to leave, so it was a big thumbs up, and off he went to his new home. Excellent and a much needed morale booster in these bright but oh so dark days of summer. In other news, we had a lovely donation of gourmet food from Susan and Alan Collisi. Thanks so much, guys. And Di came along with some funds too. You are all stars! 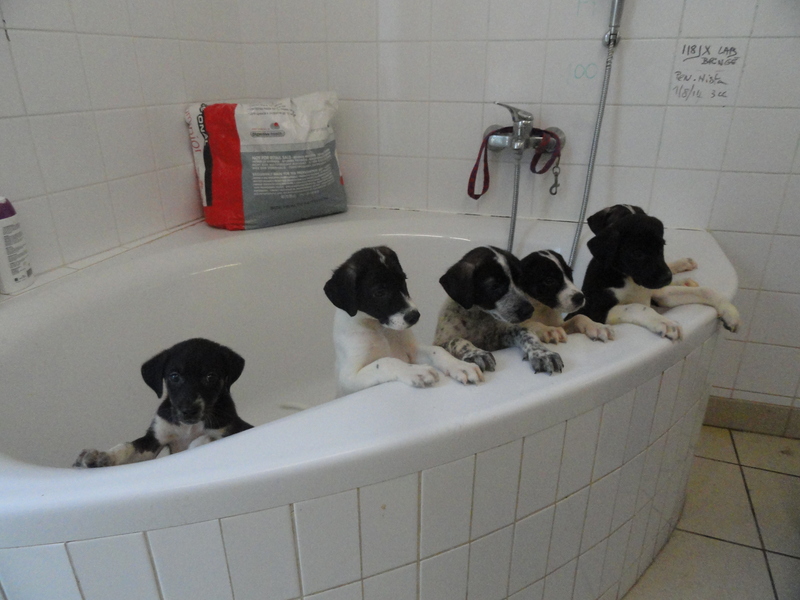 Oh, and I thought you might like to see a bathful of puppies! How cute are they? All at the SPA and all looking for homes! Don’t forget we are open on Sunday afternoon, why not pop in and say hello! Remember if you want to see the puppies it is important to see them before touching the adult dogs, as they have not had their two vaccinations yet. Fingers crossed for lots of adoptions! And a bathful of puppies!